Surtees, who was killed during a Formula Two race at Brands Hatch last season, spent 2007 with the Carlin race team, finishing sixth in the Formula BMW UK championship and competing in a handful of races in Formula Renault UK. The next year, although by then a Manor driver, he teamed up with Carlin again for one weekend in the national class of British Formula Three, winning one race and finishing second in the other. His mechanic from that F3 weekend at Donington Park, Daniel Hale, has now organised a charity run to raise money for an arts and craft centre at the Headway Tunbridge Wells and District Centre which will be built in Surtees’ name. 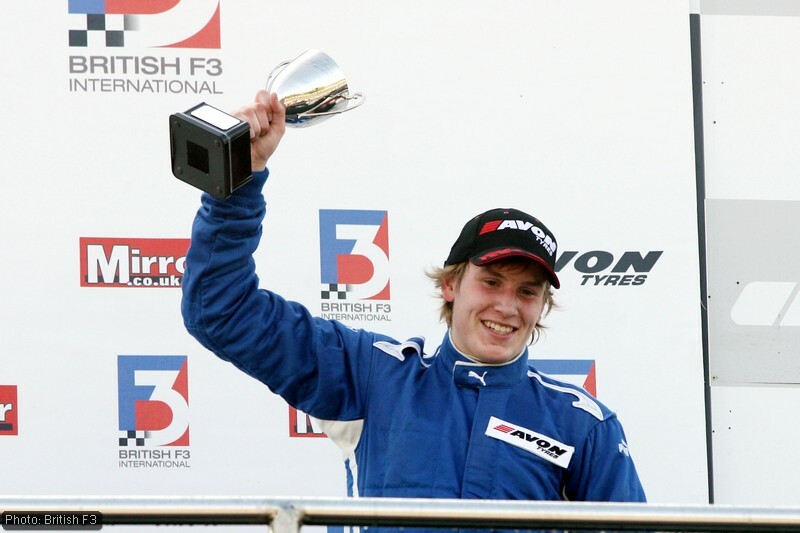 He said: “Henry was a great person as well as a fantastic racing driver – his victory in the British F3 national class in 2008 was one of the highlights of my career. Headway works with people affected by brain injuries and was the charity chosen by Surtees’ father John, the ex-F1 and motorcycling world champion, for donations in lieu of flowers at his funeral. The run will be one lap of the Oulton Park circuit and is scheduled to take place after the final track session this Saturday, April 3rd. It’s open to all-comers, but please contact Carlin to let them know you want to be part of it. Or you can donate directly at Hale’s page on JustGiving, where he is so far a third of the way to his £5,000 target. Categorised under British F3, tagged under British F3, Headway, Henry Surtees.